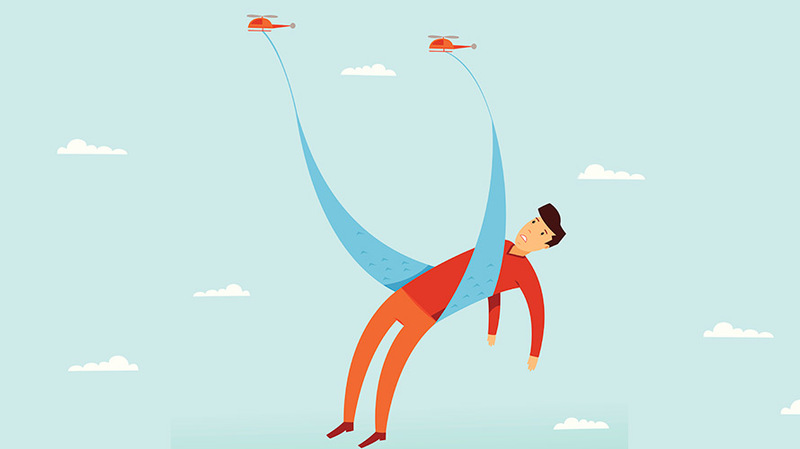 Millennials aren't following in the footsteps of their helicopter parents. As children of the baby-boomer generation, millennials were raised by parents who hovered noisily and were hyper-involved in the minutiae of their lives, a style often described as “helicopter parenting.” With millennials now making up more than 61 percent of the parents of today’s youth, the way they were raised has had a profound impact on their own parenting styles, and they are not following in their parents’ footsteps. The key difference is that while boomers hyper-focused on their children, often at the cost of their own interests, millennials are taking a collaborative, inclusive approach to parenting—looking for experiences and products that appeal to all members of the family, including themselves. These “passenger-plane parents” were the first generation raised with TV designed just for them—Nickelodeon and the Disney Channel—as well as the internet, where the rest of the world is at their fingertips. 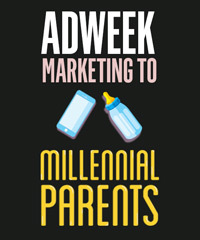 This generation of parents believes everyone should be accommodated, and they expect more tailored and individualized advertising and brand engagement. For marketers, it is important to recognize that these passenger-plane parents are looking for ways to bring their family together. They value shared experiences, so brands must show how they benefit every member of the group. Theme park commercials showing bigger kids on the roller coaster, parents sharing a relaxing moment together and the little ones splashing in the fountain tick multiple boxes for millennial parents. Family dynamics have evolved in a way that has led to more collaborative parenting, too, since millennial moms are more educated and more likely to be working than their boomer mothers were. In 40 percent of today’s households with children, the woman is the sole or primary breadwinner. Millennial moms are marrying later in life (average age of 27 today, compared to 21 in 1970) and having children later too (average age of 26 today, compared to 21 in 1970). All of these factors play a direct role in how parents shop, interact with media and raise their children. With more moms in the workplace, we see more millennial parents running the household jointly, with couples sharing in decision-making and tasks, with less delineation of roles than we saw with boomers. It is important for brands to create authentic messages that connect with both parents and kids, highlighting the value for their whole family. While television is still the broadest medium for advertisers to reach consumers, millennials are eschewing the more traditional viewing habits of boomers. Only a third of millennials report viewing live TV, compared to nearly 60 percent for boomers. Smartphones and tablets have become a key part of family viewing, with 70 percent of parents owning both a smartphone and tablet, compared to 56 percent of nonparents. Millennials are also leading the charge in cord-cutting—27 percent of families with children plan to go without a paid TV service, opting for the immediacy, repeat viewing and expanded kids content available on streaming services. This proliferation of mobile viewing, coupled with millennial parents’ desire to spend time as a family, has led to a new kind of viewing habit identified as “separate togetherness.” For families, this occurs when parents and children are in the same room, but experiencing different content. For advertisers, this represents an opportunity to develop messaging across programming and platforms targeting different family members for the same product. More than half of millennials (52 percent) engage in “separate togetherness,” and 47 percent report watching video content with children. Streaming and on-demand video are the primary platforms for family viewing, again demonstrating the need for marketers to explore new platforms for advertising.